f/o leaving a long tail for sewing. 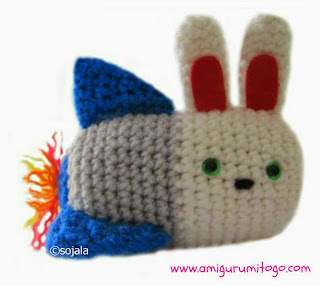 Place 2 fins together. I found it easier to place them together as pictured with all the yarn tails together. 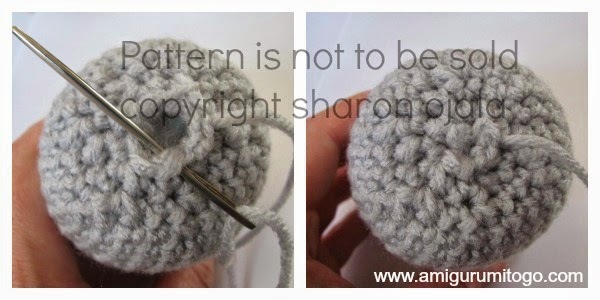 Using one of the long yarn tails sew around all 3 edges. When you get to the last 2 edges to be sewn together, tuck the 2 shorter yarn tails inside to hide them. Continue on and sew closed. Knot off the remaining yarn tails then using your yarn needle bring one of the longer tails in between the 2 fins to hide it. 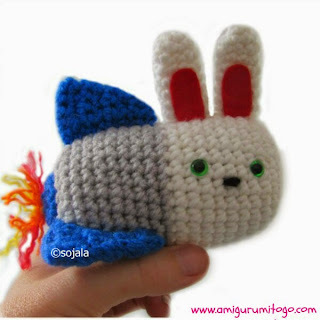 Use the remaining yarn tail to sew fin to the rocket. Place the fin on the rocket and whip stitch the bottom edge of fin to the body of the rocket. 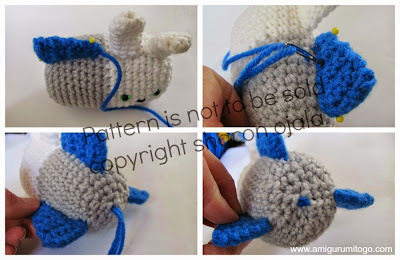 Knot off when done and hide yarn tail in body. The last 2 pictures show how I knotted off the 3 yarn tails once I was done sewing the fins to the body. 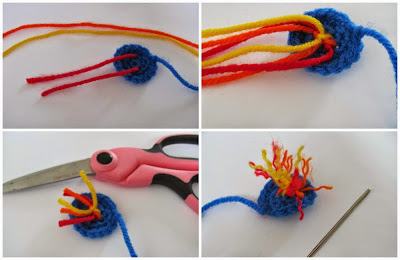 I then knotted off those yarn tails and hid the knot inside the body. Now you need 3 strands of yarn. I used yellow, orange and red. 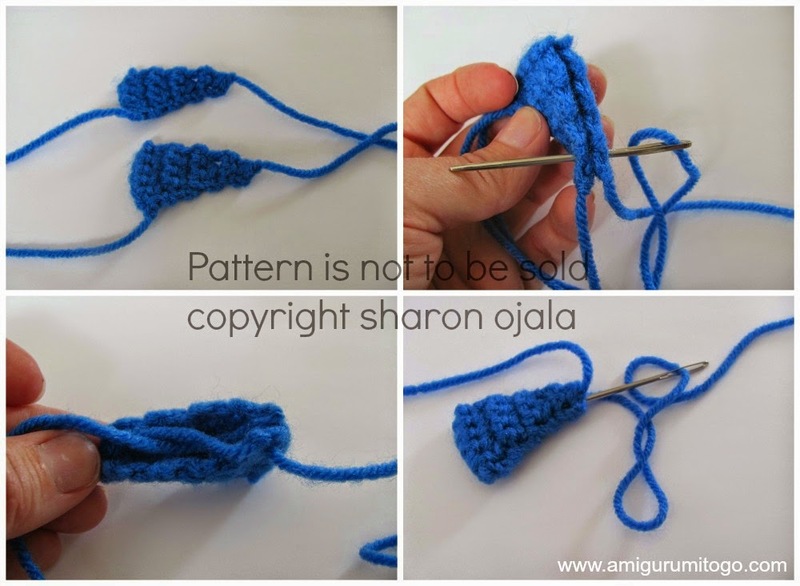 With your yarn needle put your 3 strands in and double knot them.You will now have 6 strands of yarn on one side. Cut them up shorter and with your yarn needle shred the 6 pieces. That's it now you can sew the whole piece to the back end of your rocket. This is super cute~ I love it.